Have you ever found yourself laughing after experiencing a fright or an embarrassing moment? Perhaps you were retelling a story that you were actually peeved off about. The laughter may not have made logical sense – the situation may have been far from funny. Our bodies innately know that laughter has powerful healing qualities. Shifting energy through laughter often occurs naturally in everyday life. 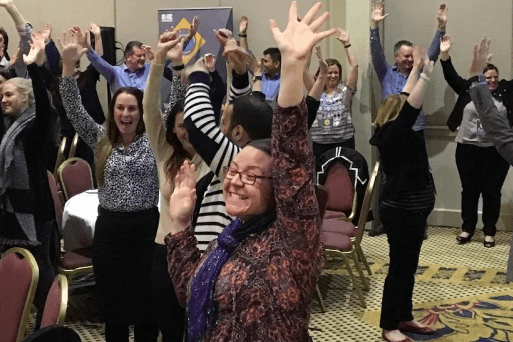 This article explores how to identify the moments when a shift is happening, the value of shifting energy in the moment, and will lead to a second article on holding space through laughter, to support others to do the same. 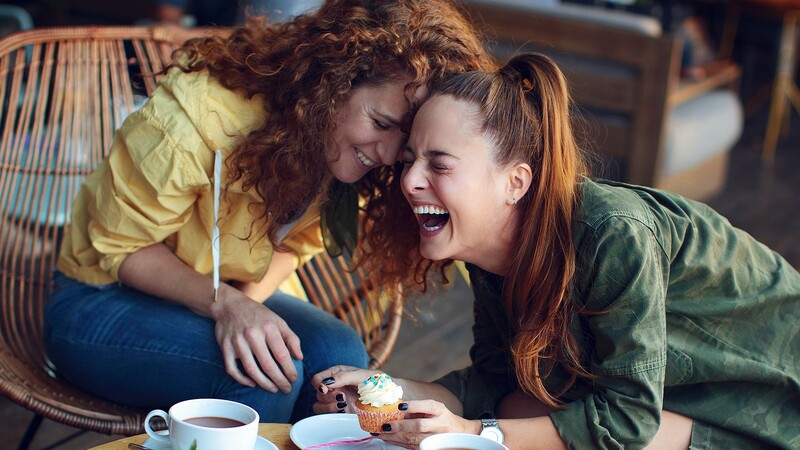 Studies show that we are far more likely to laugh in groups. The people in our immediate environment, at the time, are often in a position to allow or disrupt the powerful process, when it naturally occurs. Generally speaking, laughter is still often associated with humour. However, our ancestors were laughing before they were speaking and before humour existed. One theory about the evolution of laughter is that after a close encounter with a dangerous animal, our ancestors would laugh to shift the emotion of fear, release tension, signal safety and restore a sense of balance and wellbeing within themselves and amongst the tribe. Laughter changes our chemistry. When people experience ‘fight or flight’, for example during a fearful incident, cortisol, a stress hormone, is released into our system. Our bodies innately know that laughter can release stress and tension and restore balance, which explains why people may naturally laugh after experiencing fear, shock and even an injury. Laughter reduces cortisol, releases endorphins – our natural ‘feel good’ hormones and natural pain killers and re-balances the chemistry of the body. Laughter allows us to access our inner cellular pharmacy. According to the late Annette Goodheart, psychotherapist and ‘original laughter coach’, emotions are supposed to move through the body, which is why they are called E-motions. For example, if you experience fear and do not shift the emotion, it becomes stored in the body. With more similar experiences, one can actually become a fearful person. On that note, fortunately, shifting energy and emotions through laughter can also occur consciously. 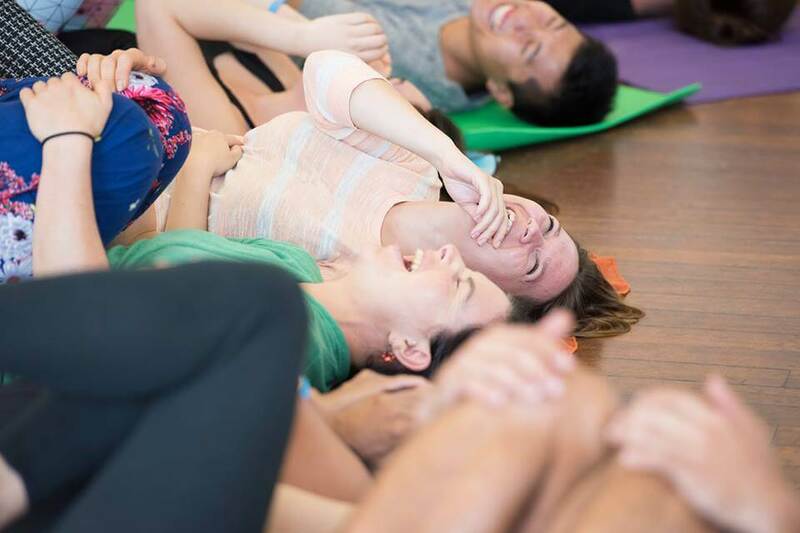 There are therapeutic laughter techniques that allow willing participants to consciously shift energy that has been stored in the body from any point in time. When we shift energy through laughter, the laughter often actually sounds different. It may involve shorter, sharper bursts of continuous laughter. It may sound as though it is coming from a much deeper place in the body. It may take time to build up. It often peaks. Once you are aware of this concept, you can identify the critical moments where a shift is really happening. When someone gets to this point, it is valuable to keep the process going to enable a release to fully occur. Shifting emotions through laughter can give you the same sense of relief and release as having a really good cry. In a similar way, once the energy has moved, it has moved! Here are three scenarios that I have personally experienced, where people naturally shifted energy through laughter. Two teenagers in high school uniforms and I were standing at the corner of a T-section, waiting to cross the road. The pedestrian light was red and they began to cross. A car came quickly from the opposite corner and they jumped back to the curb. Shocked, they started softly laughing, shifting the emotion of fear. They looked at me, to see my reaction. I was holding space by laughing softer than them. I made eye contact but was mainly looking at distant ground. After seeing this, they laughed together more freely, shifting their energy. Through this article, you may have noticed that other people are often involved in the process of naturally shifting energy through laughter. As we naturally laugh more with others, than we do alone, this article will be followed up with an article on holding space through laughter. 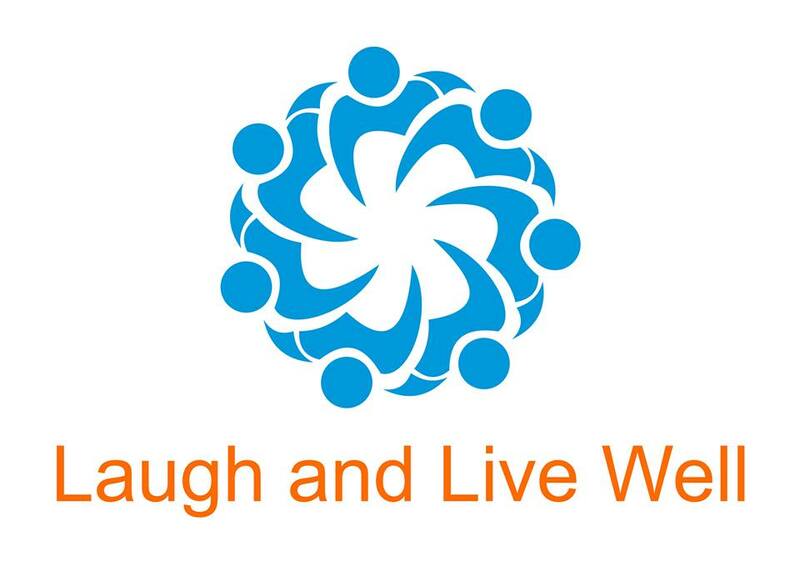 Laughter is a valuable tool and we have the potential to use it to our advantage to enhance our wellbeing.